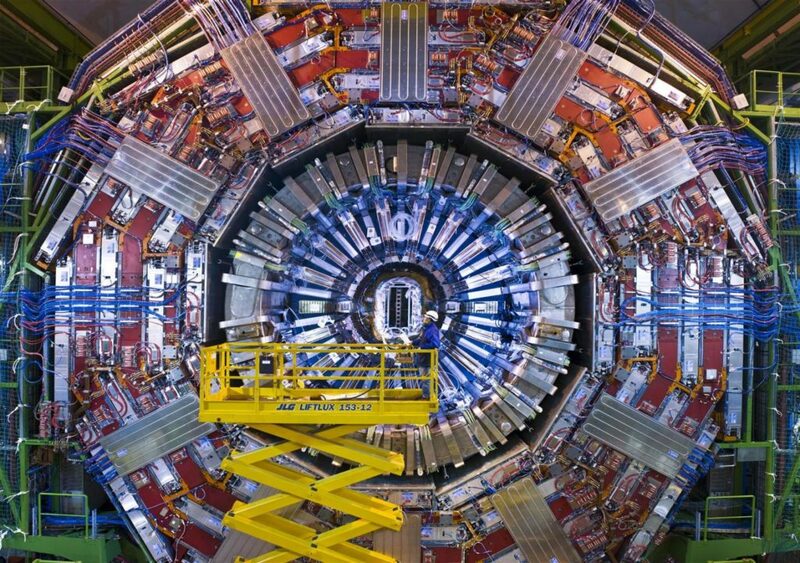 When scientists operating the world’s most powerful particle accelerator confirmed the existence of the Higgs boson, the discovery was heralded as a landmark achievement in particle physics. This boson is a pretty big deal — it’s the particle associated with a quantum field that is supposed to give particles their masses. Without this field, there would be no atoms, there would be no matter, there would be no us. With the Higgs boson confirmed, physicists performed the most important validation yet of the Standard Model — the theoretical framework for our current understanding of the fundamental particles and forces of nature. However, the 2013 achievement did not answer all our questions relating to the Higgs field and how the Higgs boson behaves. But there is progress, and according to a recent statement released by the European Organization for Nuclear Research (CERN), the scientific organization that operates the LHC, a new experiment is filling in the blanks by revealing how the Higgs particle fits into the delicate ecosystem of particles. “We know that the Higgs interacts with massive force-carrying particles, like the W boson, because that’s how we originally discovered it,” said scientist Patty McBride from the U.S. Department of Energy’s Fermi National Accelerator Laboratory, which supports the research of hundreds of U.S. scientists on the Compact Muon Solenoid (CMS) experiment. There are two types of elementary particles — that is, particles that either don’t have a substructure, or have one we haven’t discovered yet. These particles are split up into categories, two of which being fermions and bosons. Fermions follow Fermi–Dirac statistic and bosons follow Bose-Einstein statistic. Another way to look at this is that fermions are particles which have half-integer spin, whereas bosons are particles with integer spin. The electron is a fermion, for instance. Bosons, such as the photon, carry energy — they’re the physical manifestation of forces which glue fermions together. Earlier in 2014, researchers working with the CMS experiment showed that the Higgs boson has a relationship with fermions by measuring the rate at which they decay into tau leptons — the heavier cousin of the electron. Later, evidence surfaced of the Higgs boson decaying into bottom quarks. Now, two experiments — the Compact Muon Solenoid (CMS) and A Toroidal LHC Apparatus (ATLAS) — found that there’s also a relationship between the Higgs and the top quark (discovered in 1995), the latter being three million times more massive than an electron. The new experiments confirm theoretical predictions, finding that in very rare situations Higgs bosons are produced simultaneously with top quarks. In yet another experiment that confirms the Standard Model, the results have a statistical significance of 5.2 sigma, which is above the 5 sigma threshold physicists require. In other words, there’s just a 1-in-3.5-million chance that the observations scientists recorded were due to random chance. The results published in the journal Physical Review Letters will help physicists learn more about the behavior of the Higgs boson and how it might also interact with other particles we haven’t discovered yet, like dark matter. It’s remarkable how much particle physics has progressed in the last two decades. At the end of 2018, the LHC will shut down for two years for refurbishment and upgrades and then return better than ever, operating without delays through 2030.
Who knows what kind of achievements await thereafter?